Rising Up Pomade with special formula for strong hold for your hair. An everyday styling product that contains special ingredients to help it wash out more easily suitable for short or medium hair. Pomade is concentrated and only takes a small amount to get the desired look. For big chunk spiky hair: Use a small amount of Pomade in fingers and pull sections of hair up from the root. Regular spiky look: Use a small amount of Pomade in fingers and add a couple drops of water, rub through hair and piece it out. long hair: Use a small amount of Pomade in fingers, add a couple drops of water to emulsify and grab small sections of hair and twist from root to ends, or just use at the ends. Pomade can be used with a little water to slick back, slick down bangs, on updos, to hold baby hairs down, to piece out sections, or use a little on roots only to add body. 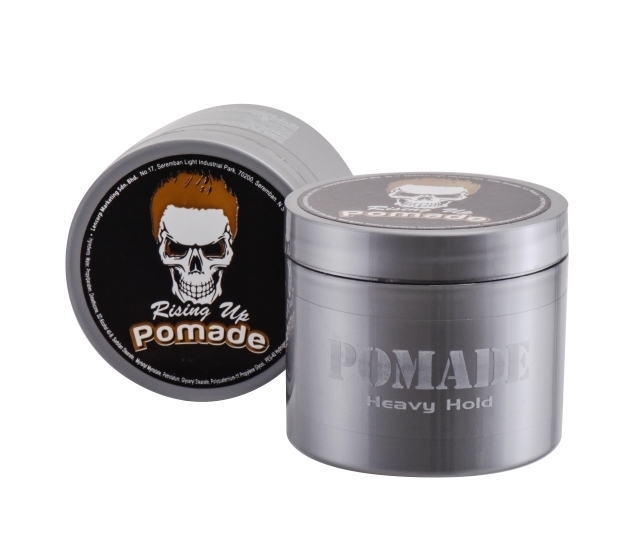 Pomade can be used with styling tools for a hold that will last all day.